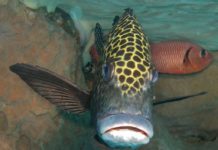 If you entered the saltwater hobby from the world of cichlids, you probably know all about mouthbrooding. 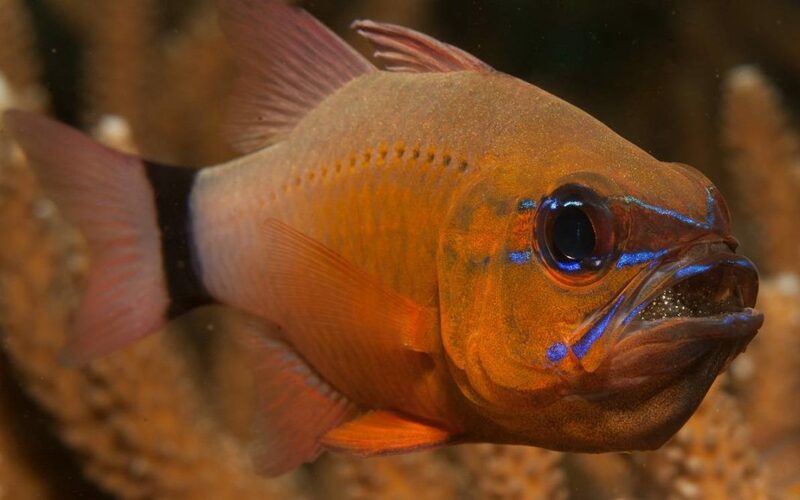 If you like mouthbrooders—their interesting behavior and ease of breeding in captivity—then you’ll be pleased to know that some common saltwater species are mouthbrooders as well, including the readily available, relatively inexpensive and very hardy cardinalfish. Mouthbrooding fish, as the name suggests, carry their fertilized eggs or young in their mouth to protect them from predation when they are most vulnerable. 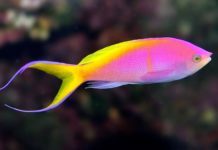 This behavior has evolved given the dangerous environment for any small fish on the reef. Surprising to some, it is the males that care for the brood. While some reef species are mouthbrooders, most are not. 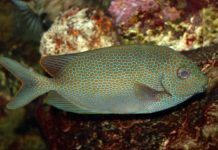 The lack of prevalence for this mechanism of caring for the brood in the reef environment may be the method’s lack of efficiency, given that the number of eggs or young must be limited by the size of the male fish’s mouth. 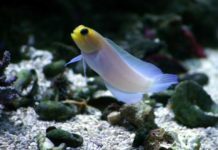 Of those marine fish that are mouthbrooders, the jawfishes and the cardinalfishes are the best for the beginning aquarist to consider keeping, with the latter being the easiest fish for those who want to try their hand at captive breeding. 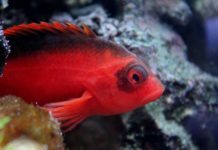 In addition to being easy to breed in captivity, cardinalfishes are incredibly hardy (read damselfish-hardy). Cardinalfish are called cardinalfish because many species are, in fact, reddish in color. They are all readily identifiable by way of their large eyes and sometimes bold coloration. 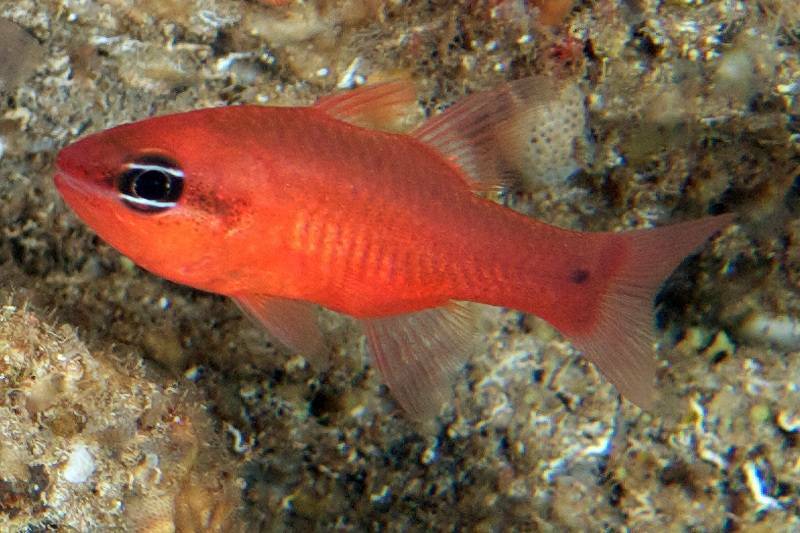 Cardinalfish hail from the family Apogonidae—one of the largest family of fishes—and the most commonly available cardinalfish in the hobby are from the genus Apongon and the genus Sphaeramia. Orangestriped cardinalfish (Apogon cyanosoma) and Sebae Anemone (Heteractis crispa) or Magnificent Sea Anemone (H. magnifica). 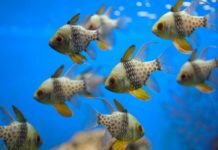 The Banggai Cardinalfishes, are some of the best marine fish for aquarists interested in captive breeding–here’s how to do it. Obtain a breeding pair, and wait for the magic to happen! Not only is breeding cardinalfish fun, but it is critical given the fact that the Bangaii Cardinalfish is listed on the IUCN Red List as an endangered species. Courtship rituals should be obvious. You will see lots of vibrating and quivering, and this may go on for up to several days and hopefully will result in successful spawning. During the time leading up to spawning, the male may be more protective of the female than usual. You will know the spawn was successful if the male starts to refuse food after you have observed courtship behavior. The male will also have an obviously large mouth. You may witness the female aggressively defend the male once he has started carrying the eggs. If you are going to separate the fry into a breeder, do so while the eggs are still incubating in the male’s mouth by gently moving the male into the breeder. At this point the male may be carrying enough eggs to yield a hatch size of 20 or more offspring. This is the reason he won’t feed—because he can’t. The incubation of the eggs in the male’s mouth takes about three weeks, but unlike most other cardinalfish, male Banggai Cardinalfish will continue to care for their young for about another week. If you have the male in a breeder, remove the male back to the main tank once the fry have been released. The fry will look almost identical to their parents—just way smaller. Because the fry are immediately capable of eating, start an intensive feeding regimen of nauplii—the larval stage of brine shrimp (Artemia salina)—and microscopic aquatic animals known as Rotifera (more on these in a later article). Copepods make another good food source for the fry. Start with small amounts of prepared foods and frozen foods as soon as they will take them. During this period, some of the fry will grow faster than others, and these larger fish will eat the majority of the food (to the point of chasing the smaller ones away). For this reason, some aquarists spilt the fry into separate like-sized groupings at this point. Depending upon your tank inhabitants, reintroduce the surviving young Banggai Cardinalfish to your main tank. As juveniles that should form a tight protective grouping and there shouldn’t be undue interspecies aggression. 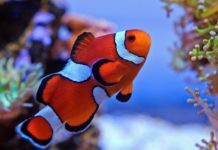 As they get older, however, you will need to separate out the young adults—consider giving them to friends or even selling them back to the local fish store for store credit. 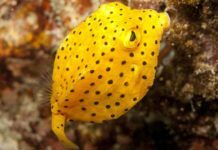 Remember, the only ethical way to keep these amazing marine fish in the aquarium trade is to increase the genetic diversity of captive bred specimens. 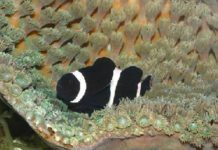 Unless you are planning to seriously breed Banggai Cardinalfish and give away (or sell) many of the offspring, BUY CAPTIVE BRED SPECIMENS. Wild caught specimens should only be obtained for use as foundation broodstock.